The Nightmare Machine was the most unusual Steampunk Event I have attended and made for a truly immersive experience. 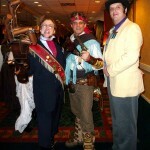 A quick musing on the history and possible future of steampunk conventions in the Southwest region. 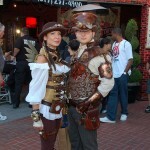 Steampunk Conventions are now everywhere you turn in Texas and Oklahoma. As such, I have listed the ones we are expecting, but know that several one day or single evening events are springing up that are not yet clear about details. 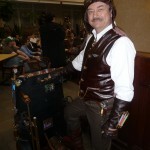 Clockwork Con Brings Steampunk to Austin! Clockwork Con surprised people by being unusually well organized and well run. Kali’s Hourglass joined the Crow Collection of Asian Art Museum Fashion Show once again this year for their “Japanese Street Fashion Inspired” Fashion Show and Costume Contest.